. : Farm Forest Line - Recording and documenting:. What was the seed source? When did you first prune your trees? What was the volume from the first harvest? These questions cant be answered if good records havent been kept. Planting and managing trees on farms has been described as "writing a history on the landscape". Unfortunately, this history is often only held in the memories of those who have witnessed the changes over time. Documenting forest management and recording observations and production ensures that farmers can answer questions about the history of their forest. Good records may also be critical when marketing forest products and services. Farm foresters are encouraged to keep a "Tree-Diary" in which their forestry activities and observations are recorded. Each farm forestry project may be allocated a section of the book where notes are made about anything that might be of future interest e.g. the source of planting stock, site preparation or pruning history. Keeping track of the costs, including the number of hours spent working in the forest, can help a farmer judge viability. It's hard to know what information will be of value in the future so the more that can be included in the diary the better. Taking lots of photographs is a simple way of documenting change, particularly if photo-points or landmarks are used. Independent verification of the management history of a forest may be required for some products. Pruned stand certification involves the assessment of a plantation after pruning and certification by an independent person. As the trees grow, the quality of the pruning operation is disguised by the bark. Certification provides the owner with some proof that their pruning was done on time and on target. 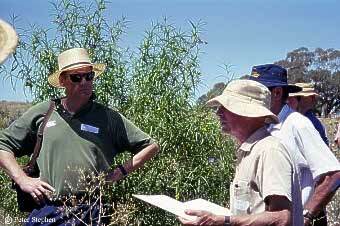 The Australian Forest Growers administer the Australian pruned stand certification. Similar certification may be required for the sale of carbon credits (record of previous land use) or for the production of organic produce.